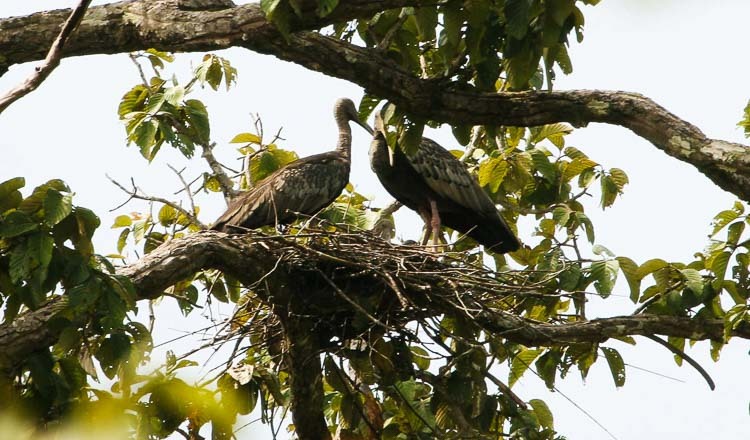 Researchers from the Wildlife Conservation Society and Environment Ministry have found two pairs of critically endangered giant ibis in Mondulkiri’s Keo Seima Wildlife Sanctuary. They are the first of the species found in the sanctuary for ten years. “This finding confirms once again that Keo Seima Wildlife Sanctuary is a biodiversity hotspot and vital for conservation of globally threatened mammal and bird species,” WCS said yesterday. 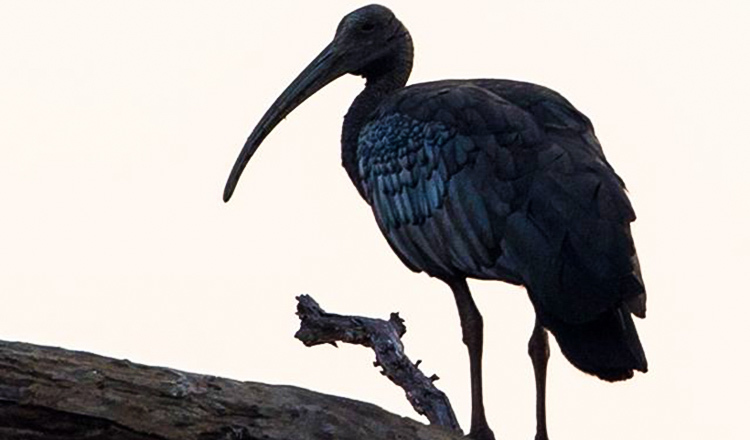 The giant ibis (Thaumatibis gigantea) is Cambodia’s national bird, and exists only in Cambodia, Vietnam and Laos. 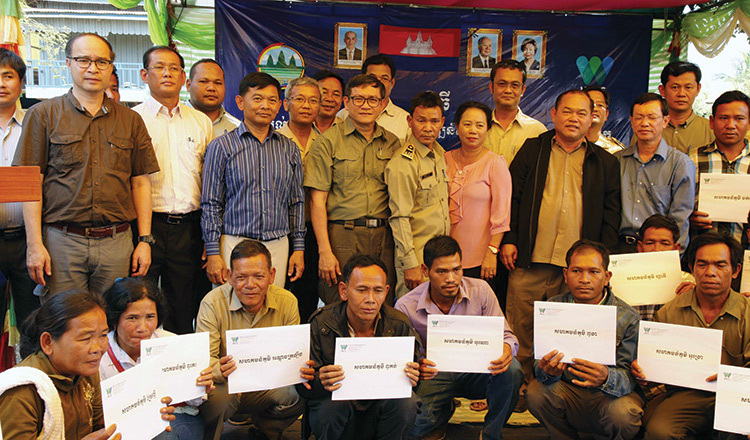 There are about 194 mature individuals in the global population, with about 99 percent living in Cambodia. 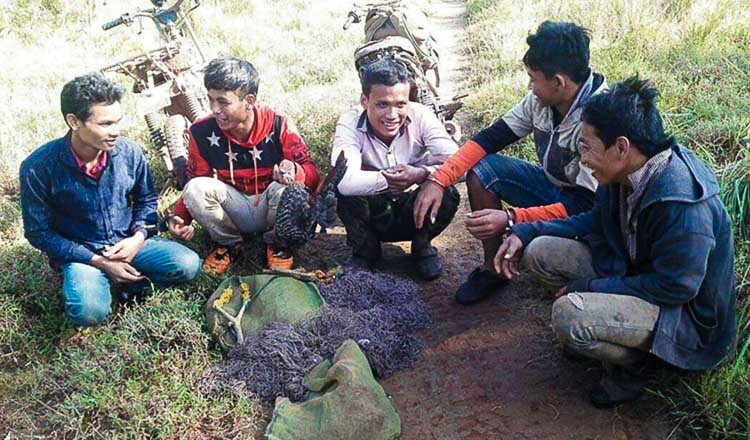 Research team leader Sot Vandoeun said his team spent almost fifteen days searching for the species in the area. Old reports and previous research had confirmed the presence of the species, however they had no accurate population number. “We are proud of finding these giant ibises because now we can prove they are living in this sanctuary,” he said. He said he followed the crying sound of the birds every morning to find them. According to their cries, the birds live in three zones. However his team saw the birds in trees at only two zones. “So I can say there are more than two pairs in this area,” he said. “The area they live in is a very good natural habitat and is ideal for feeding and breeding. Preah Vihear’s Kulen Promtep and Chhep wildlife sanctuaries are the natural habitat of many giant ibis. Early last month, 19 nests were found in these sanctuaries, home to more than 150 of the birds. Under an Environment Ministry and WCS programme which started in 2002, community members are hired to guard nests until the eggs hatch to protect them from predators or poachers. 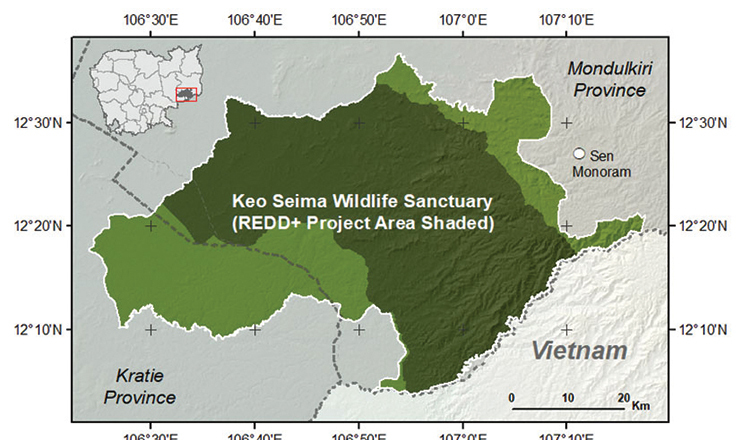 According to WCS, Keo Seima Wildlife Sanctuary is of international importance for the conservation of primates, including the world’s largest known populations of black-shanked douc langur and southern yellow-cheeked crested gibbon, and other endangered mammals and birds.